Home Crowd Funded A crowd-funded watch-buying club? That’s what Zew Box is offering! Watch-buying clubs have had some ups and downs, with some fairly high profile ones quietly closing their doors this year. On the flip side of the consumer coin, monthly box subscriptions seem to be all the rage, with all manner of themed ones on offer. Mash those two together, and you’ve got yourself a watch-subscription quarterly box club, all under the moniker of Zew Box. Now, normally something like the Zew Box would not have even crossed our radar, except for one thing – the starting watches are coming from our pals over at Smith & Bradley. 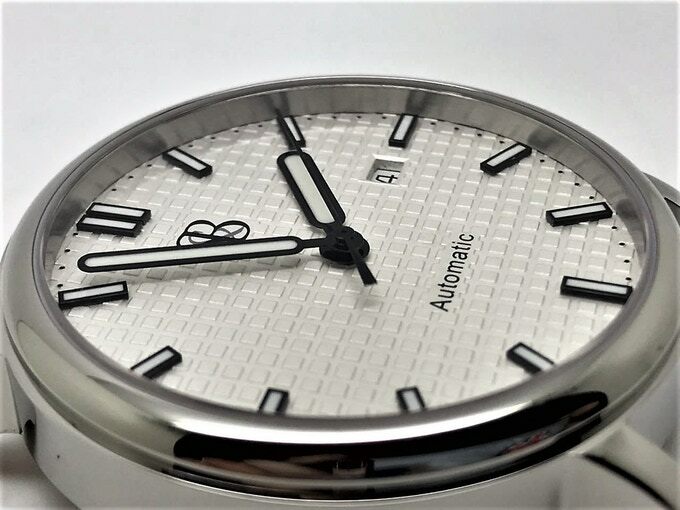 We’ve actually got one of the watches they have on offer from this new club (the Skyline), so be on the lookout for that review in the near future. How the Zew Box club works is pretty simple – if you want a watch that quarter, you pay your dues, and you get a watch. Don’t want one? Don’t pay, and you’re not on the hook. So, for the Kickstarter, then, what you’re doing with the Zew Box is locking in a discounted rate for either the Premier Club (and net a quartz-driven Smith & Bradley Wraith) or the Executive Club (which gets the ETA-powered Smith & Bradley Skyline). It’s an interesting tweak to how we’ve seen funding and subscriptions work. I’m curious to see how it plays out, because any new method of bringing new watches to the market sounds good in my book.